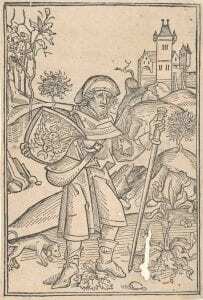 The University of Melbourne’s Rare Book Collection holds around 30 incunabula, or early printed books and these are all digitised. 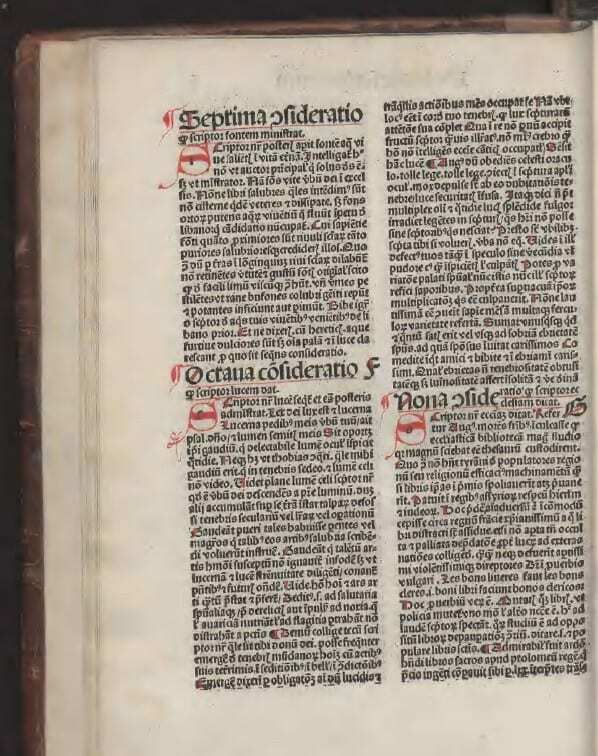 ‘Incunabula’ is a term given to books produced in the cradle days of book printing, generally pre-1500, and they are distinct from manuscripts, which are hand-written. 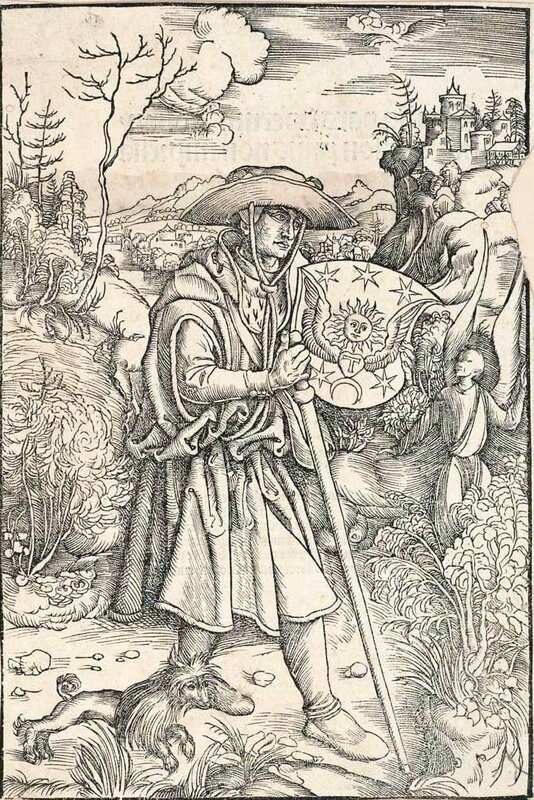 One of the University’s incunabula was published in 1489 and was authored by Jean (Johannes) Charlier de Gerson (1363-1429), a French scholar devoted to the study of the Catholic Church, who published extensively throughout his life. The title Opera means ‘Work’, and the book appears to be one of three volumes comprising a treatise on the Catholic Church. This first volume is subtitled Prima pars operii Johannes Gerson, meaning ‘The first part of the works of Johannes Gerson’. 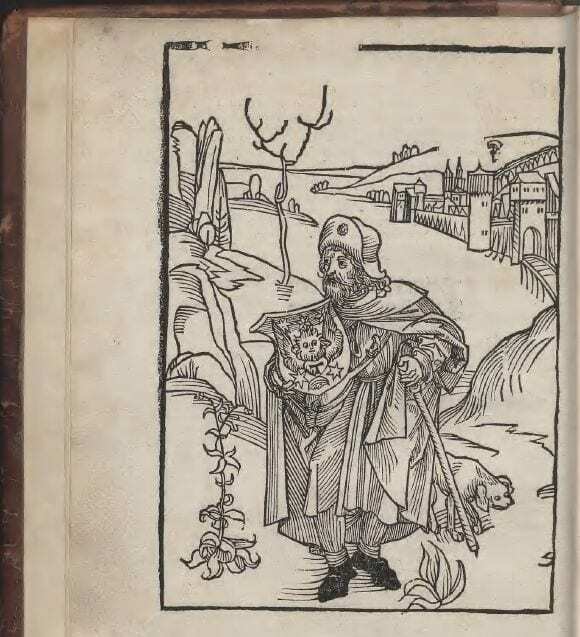 The Gerson incunabulum contains one woodcut, on the verso of the title page: an image depicting Gerson dressed as a pilgrim. 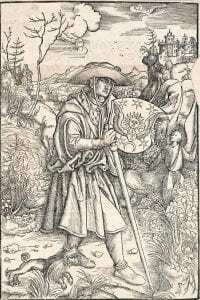 This woodcut has been attributed to Albrecht Dürer by Willi Kurth and Arthur Hind [2. 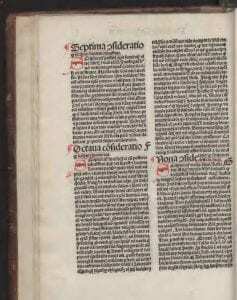 ].The image is comparable with two prints found in the University of Melbourne’s Print Collection. Both woodcuts came from the Poynton donation, and one is similar in appearance, and is indeed dated to 1488, while the other is from a later date, probably 16th century. The artist of both of these prints are unknown. [1.] J. Walworth, “Rubrication: articulation, not decoration”, Bodleian Library blog, 29 January 2009, accessed 4th September 2018. [2.] 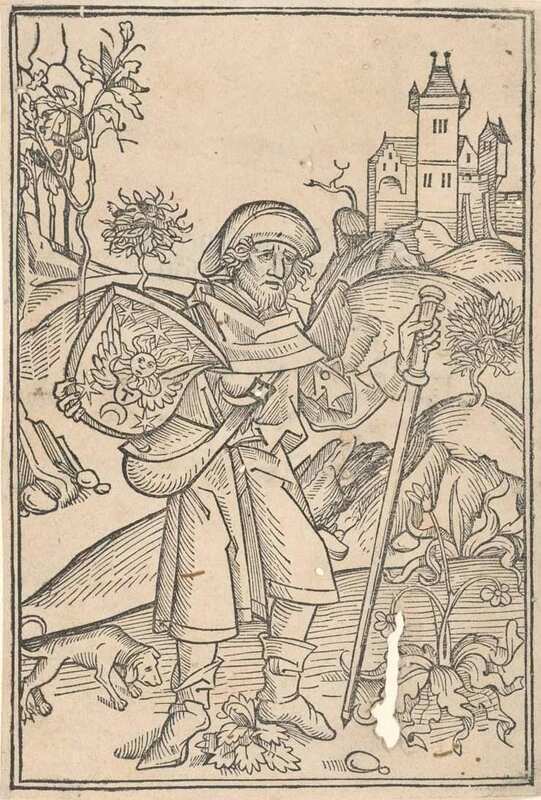 A.M. Hind, An introduction to a history of woodcut: with a detailed survey of work done in the fifteenth century, New York, Dover Publications, 1963, and W. Kurth (ed. 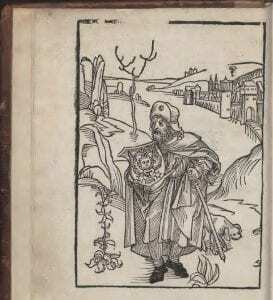 ), “The complete woodcuts of Albrecht Dürer, London, W. & G. Foyle, 1927.